What feedly Triggers and Actions are Supported? New Article in Source - Triggers when a new article is published in a source. New Note - Triggers when you add a new note to an article. New Article Saved for Later - Triggers when new article is saved in "Read Later". New Article in Board - Triggers when an article is added to a board. New Article in Feed - Triggers when a new article is published in a Feedly feed. New Highlight - Triggers when you add a new highlight to an article. New Popular Article in Feed - Triggers when a new popular article is published in a Feedly feed. Subscribe to Source - Adds a new source subscription to Feedly. Add Article to Board - Add an article to a board from a URL. Create New Article - Save a new article in a board. After clicking "Continue," a new window will open asking you to sign into feedly. After signing in, the window will close and, as a final step, Zapier will automatically test your connection to feedly. 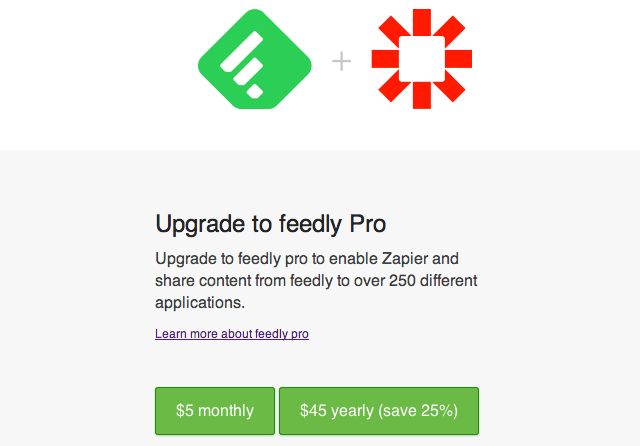 Note: The feedly-Zapier integration is only available to feedly Pro subscribers. 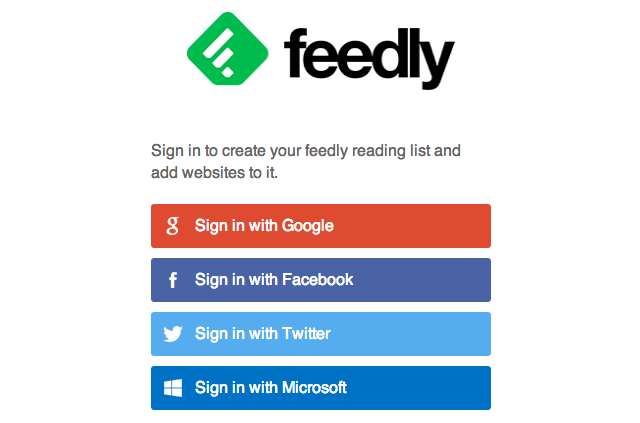 If you aren't a feedly Pro subscriber, in the sign-in step above, you'll be prompted to purchase feedly Pro. This error occurs when you are trying to connect your Feedly account before connecting to Feedly Pro. You'll be able to do that, here: https://feedly.com/index.html#pro%2Fnavbar. Once upgraded, you'll be able to connect your Feedly account to Zapier without any issues.